WATCH FOR US! 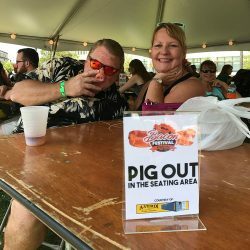 We're coming back in August 2019 for the 3rd Annual Bacon Festival! Many of the 2018 vendors will be returning to sell their famous bacon creations and you'll find plenty of new baconatarians jumping on the hamwagon this year as well. Spend your day pigging-out on familiar bacon favorites and belly-up with a new tasty creation, too! Admission is FREE! We'll let you know what day the bacon will be sizzling early in 2019. Metered/"Pay and Display" on-street parking is available around Clinton Square. There are also parking garages in the area with various hourly/daily charges. Of course! Kids like bacon, too! This a family-friendly event with plenty of activities for children to enjoy! Yes, there will be portable restrooms on site. Rain won't bother us, you can still eat bacon in the rain. However, if the weather deems unsafe conditions for the festival, we will have to take the appropriate action. Please check our facebook page for any notifications. You should know that alcohol will be served at this event but only to those who are 21 years of age or older. ID's will be checked!! How much is the registration fee and what does that include? The registration fee is $500 for a 15' booth Space or $650 for Food Trucks and electricity. Full payment is required with registration form to reserve your space. It is up to you to provide all of the equipment you will need at your booth. This includes tables, chairs, tents, lights and/or anything else you may need. Don't forget the bacon! Yes. All food and beverage vendors must provide proof of insurance and have Galaxy Events/City of Syracuse listed as additionally insured. Further details regarding this information will be provided when you register. You will need an Onondaga County Health Permit. You must obtain a City of Syracuse propane permit if you cook with propane. May I sell alcohol at my booth? No. You may not sell alcohol. Non-alcoholic beverages are permitted as long as they are in a can or a plastic bottle. Glass is not permitted. May I bring my food truck? Can you make bacon in your food truck? Yes! Food trucks are welcome to participate! You set your own prices and bring home all the bacon! We do not take a percentage of your sales. Restaurant owners! BBQ masters! Bacon believers! Whether it’s bacon mac ‘n cheese, bacon cupcakes or bacon cheesecakes- this event is all about the bacon. 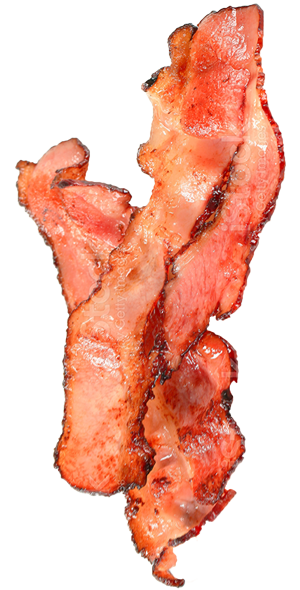 We are asking everyone to sell at least one item that features BACON! Sign up today to be a part of the show! Crafters, artisans and jewelers are also invited to participate! Please complete the form below or download a hard copy of the credit card payment form and registration form here. Check this box to notify us that you downloaded the credit card form and emailed or faxed it to us- or that you intend to send a check. © Copyright 2019 Bacon Festivals. | Website by Buckle Up Studios.